My first swatch post! Not that the pics are even of my hands lol. 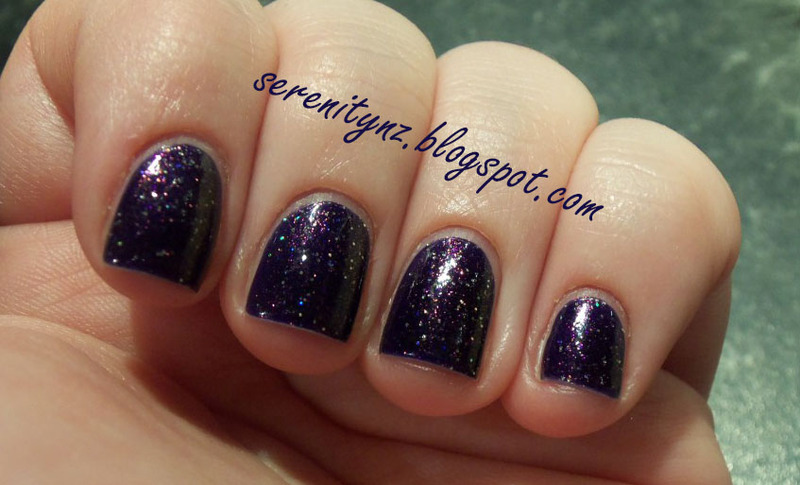 My friend (Amie) and I work on this blog together, sometimes swatches will be mine and sometimes they will be hers. Today they're hers! Gloss 'n Sparkle Melodious is descibed as 'a dark blue leaning purple with a gorgeous pink shimmer and speckles of holographic gold'. When on the nail this polish appeared to be more of a blackened purple than a blue, but the rest of the description is pretty accurate. The shimmer in this polish is super pretty and the gold glitter is a really nice touch. Formula was good, the polish went on smoothly and I had no problems to report - shown here is 3 coats, with Nailtek base coat and Jordana Quick Shine top coat. 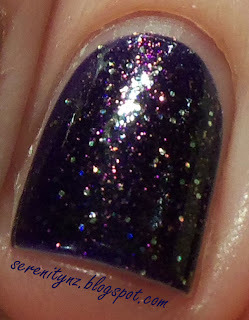 Macro to show the glittery shimmery goodness! We're definitely fans of this one - what do you think? 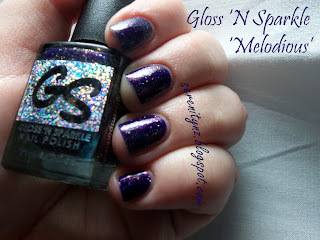 Gloss 'N Sparkle can be purchased from their Etsy Store (for Australians only), Shoppe Eclecticco, or Llarowe. All products reviewed were purchased by myself or Amie, and all opinions are our own.